68. Those who deny God become flesh are those who do not know the Spirit or the principles by which God works. Those who believe that now is the age of the Holy Spirit yet do not accept His new work are those who live in vague faith. Such manner of men shall never receive the work of the Holy Spirit. 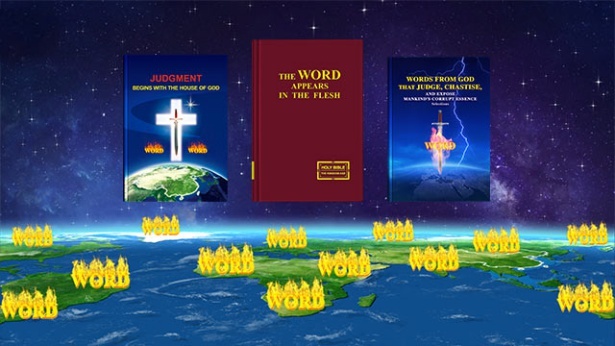 Those who wish only for the Holy Spirit to directly speak and carry out His work, yet do not accept the words or work of the incarnate God, shall never be able to step into the new age or receive complete salvation from God! 69. Those who did not know the Messiah were all capable of opposing Jesus, of rejecting Jesus, of slandering Him. People who do not understand Jesus are all capable of denying Him, and reviling Him. Moreover, they are capable of seeing the return of Jesus as the deceit of Satan, and more people shall condemn Jesus returned to flesh. Does not all of this make you afraid? What you face shall be blasphemy against the Holy Spirit, the ruination of the words of the Holy Spirit to the churches, and the spurning of all that is expressed by Jesus. What can you gain from Jesus if you are so befuddled? How can you understand the work of Jesus when He returns to flesh on a white cloud, if you obstinately refuse to realize your errors? I tell you this: People who do not accept the truth, yet blindly await the arrival of Jesus upon white clouds, will surely blaspheme against the Holy Spirit, and they are the race that shall be destroyed. 70. Many people may not care what I say, but I still want to tell every so-called saint who follows Jesus that, when you see Jesus descend from the heaven upon a white cloud with your own eyes, this will be the public appearance of the Sun of righteousness. Perhaps that will be a time of great excitement for you, yet you should know that the time when you witness Jesus descend from the heaven is also the time when you go down to hell to be punished. It will herald the end of God’s management plan, and will be when God rewards the good and punishes the wicked. For the judgment of God will have ended before man sees signs, when there is only the expression of truth. 71. Those who wish to gain life without relying on the truth spoken by Christ are the most ridiculous people on earth, and those who do not accept the way of life brought by Christ are lost in fantasy. And so I say that the people who do not accept Christ of the last days shall forever be despised by God. Christ is man’s gateway to the kingdom during the last days, which none may bypass. None may be perfected by God except through Christ. 72. For this Christ is Himself the expression of the Holy Spirit, the expression of God, the One whom God has entrusted to do His work on earth. And so I say that if you cannot accept all that is done by Christ of the last days, then you blaspheme the Holy Spirit. The retribution that should be suffered by those who blaspheme the Holy Spirit is self-evident to all. I also tell you that if you oppose Christ of the last days, and deny Him, then there is no one who can bear the consequences on your behalf. Furthermore, from this day onward you will not have another chance to gain the approval of God; even if you try to redeem yourself, you will never again behold the face of God. For what you oppose is not a man, what you deny is not some puny being, but Christ. Are you aware of this consequence? You have not made a small mistake, but committed a heinous crime. And so I advise everyone not to bare your fangs before the truth, or make careless criticisms, for only the truth can bring you life, and nothing except the truth can allow you to be reborn and behold the face of God. 73. I want each and every man to see that all I have done is right, and that all I have done is an expression of My disposition; it is not man’s doing, least of all nature, that brought forth mankind. On the contrary, it is I who nourish every living being in creation. Without My existence, mankind will only perish and undergo the scourge of calamities. No human being will ever again see the beauteous sun and moon or the green world; mankind shall encounter only the frigid night and the inexorable valley of the shadow of death. I am mankind’s only salvation. I am mankind’s only hope and, even more, I am He on whom the existence of all mankind rests. Without Me, mankind will immediately come to a complete standstill. Without Me, mankind will suffer catastrophe and be trodden down by all manner of ghosts, even though no one takes heed of Me. 74. My words are the forever unchanging truth. I am the supply of life for man and the only guide for mankind. The worth and meaning of My words are not determined by whether they are recognized or accepted by mankind, but by the substance of the words themselves. Even if not a single person on this earth can receive My words, the value of My words and their help to mankind are inestimable by any man. Therefore, when faced with the many men who rebel against, refute, or are utterly contemptuous of My words, My stance is only this: Let time and facts be My witness and show that My words are the truth, the way, and the life. Let them show that all I have said is right, and is that which man should be furnished with, and, moreover, that which man should accept. I will let all who follow Me know this fact: Those who cannot fully accept My words, those who cannot practice My words, those who cannot find a purpose in My words, and those who cannot receive salvation because of My words, are those who have been condemned by My words and, moreover, have lost My salvation, and My rod shall never stray from them. 75. If you do not regard these truths with importance and constantly think of avoiding them or of finding a new way out apart from them, then I say you are a grievous sinner. If you have faith in God, yet seek not the truth or the will of God, nor do you love the way that brings you closer to God, then I say that you are one who is trying to evade judgment, and that you are a puppet and traitor who flees from the great white throne. God will not spare any of the rebellious that escape from under His eyes. Such men shall receive even more severe punishment. 76. Renounce your fondness for the wealth of the secular world! Free yourself from the attachment to your husband and your daughters and sons! Renounce your views and prejudices! Wake up, for time is short! Let your spirit look up, look up and let God take control. Do not let yourself become like Lot’s wife. It is so pitiful to be cast aside! How pitiful indeed! Wake up! 77. Every sentence I utter carries authority and judgment and no one can change them. Once My words issue forth, things will be accomplished in accordance with My words, and this is My disposition. My words are authority and whosoever amends them offends My chastisement and I must strike them down. In serious cases they bring ruination down on their own lives and they go to Hades, and go to the bottomless pit. This is the only way in which I deal with mankind and man has no way to change it—this is My administrative decree. Remember this! No one is allowed to offend My decree; this must be done according to My will! 78. I do that which I should do, and do not do that which I should not, yet still I hope that you spend more time in reflection: Exactly how much of your knowledge of God is true? Are you one of those who have once more nailed God to the cross? Finally, I say this: Woe to those who crucify God. 79. 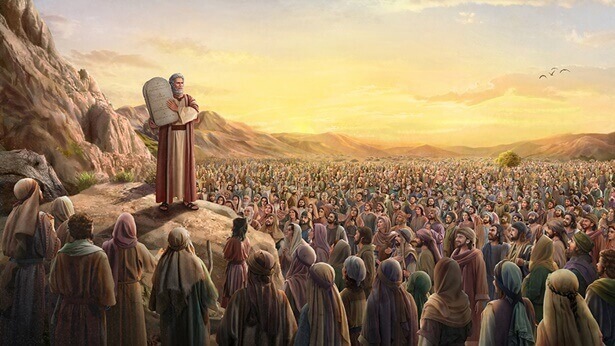 In their belief in God, if people don’t hold within them a God-revering heart, if they don’t have a heart that is obedient to God, then not only will they be unable to do any work for God, but on the contrary will become people who disturb God’s work and who defy God. When someone who believes in God does not obey God or revere God but instead defies Him, then this is the greatest disgrace for a believer. 80. Later, on the road ahead, you must not create artifice or engage in deception and crookedness, otherwise the consequences will be unimaginable! You still do not understand what deception and crookedness are. Any actions or behaviors which you cannot let Me see, which you cannot bring out into the open are deception and crookedness. Now you should understand this! If you engage in deception and crookedness in the future, do not pretend to not understand, that is just to knowingly do wrong, to be even more guilty. This will only lead to you being burnt by the fire, or even worse, ruining yourselves. 81. My work has been very helpful for you; what I hope to get from you is a heart that is honest and positive, but up until now My hands are still empty. Think about it: When one day I am still this bitter beyond words, what will My attitude toward you be? Will I be as friendly? Will My heart be as peaceful? Do you understand the feelings of a person who has painstakingly farmed but has not harvested a single grain? Do you understand how great the injury is of someone who has been dealt great blow? Can you taste the bitterness of a person full of hope who has to part with someone on bad terms? Have you seen the anger of a person who has been provoked? Can you know the feeling of revengeful urgency of a person who has been treated with hostility and deceitfulness? If you understand the mentality of these people, I think it shouldn’t be difficult for you to imagine the attitude God will have at the time of His retribution. 82. I admonish you: Those I call to Me are not the ones who have never been corrupted; rather, those I choose are the ones who truly love Me. Therefore, you ought to be vigilant with your words and deeds, and examine your intentions and thoughts so that they do not cross the line. In this time of the last days, do your utmost to offer up your love before Me, lest My wrath never depart from you! 83. If one of you is still dissatisfied with things as they stand, believing that you have some special skill or ability, and still thinking you can get lucky and change your present circumstances or else escape them; if you attempt to change your own fate by means of human effort, and thereby stand out from others and win fame and fortune; then I say to you, you are making things hard for yourself, you are only asking for trouble, you are digging your own grave! One day, sooner or later, you will discover that you made the wrong choice, that your efforts were wasted. Your ambition, your desire to struggle against fate, and your own egregious conduct, will lead you down a road of no return, and for this you will pay a bitter price. 84. I advise those who are not planning on practicing the truth to leave the church as soon as possible to avoid committing even more sins. When the time comes, even regret will be too late, and in particular those who form cliques and create division, and those local villainous snakes within the church must leave even sooner. These people who are of an evil wolf nature are incapable of change, they had better leave the church at the earliest opportunity, never again to disturb the proper life of brothers and sisters, and so avoid God’s punishment. Those of you who went along with them would do well to make use of this opportunity to reflect upon yourselves. Will you follow the evil ones out of the church, or remain and follow submissively? You must consider this matter carefully. 85. I despise all the evil people who prevent you from eating and drinking of My word. This is because there are some few people who do not truly want Me. These people are full of deceit, they do not get close to Me with their true heart, they are evil, and they are people who obstruct the carrying out of My will; they are not people who put the truth into practice. These people are full of self-rightness and arrogance, they are wildly ambitious, they love to be condescending, and the words they speak are pleasant to hear, but in secret they do not practice the truth. These evil people shall all be cut off and swept away clean; they shall be left in disasters and refined. 86. No matter how pitiable he tries to appear before My eyes, I will never be merciful toward him, for man has no grasp of the difference between black and white, of the difference between truth and non-truth. Man’s sense is so benumbed, yet he still wishes to gain blessings; his humanity is so ignoble yet he still wishes to possess the sovereignty of a king. Who could he be the king of, with sense such as that? How could he with such a humanity sit atop a throne? Man truly has no shame! He is a conceited wretch! For those of you who wish to gain blessings, I suggest you first find a mirror and look at your own ugly reflection—do you have what it takes to be a king? Do you have the face of one who could gain blessings? There has not been the slightest change in your disposition and you have not put any of the truth into practice, yet you still wish for a wonderful tomorrow. You’re deluding yourself! 87. Your lives have been determined by Me as lives of drinking the blood of those unclean spirits and eating the flesh of those unclean spirits because you take on their appearance in front of Me every day. Before Me your behavior was particularly bad, so how could I not feel disgusted? In what you say there are the impurities of unclean spirits: You deceive, conceal, and flatter just like those who carry out sorcery, like those who deceive and drink the blood of the unrighteous. All of mankind’s manifestations are very unrighteous, so how can all people be placed in the holy land where the righteous are? Do you think that that despicable behavior of yours can distinguish you as holy from those unrighteous ones? That serpent-like tongue of yours will eventually ruin the flesh of yours that wreaks destruction and carries out abominations, and those hands of yours that are covered with the blood of unclean spirits will also eventually pull your soul into hell, so why do you not leap on this opportunity to cleanse your hands that are covered with filth? And why do you not take advantage of this opportunity to cut out that tongue of yours that speaks unrighteous words? Could it be that you are willing to suffer under the flames of hell for your two hands and your tongue and lips? I keep watch over all people’s hearts with My two eyes because long before I created mankind, I had grasped their hearts within My hands. I long ago saw through man’s heart, so how could the thoughts in man’s heart escape My eyes? And how could they be in time to escape the burning of My Spirit? 88. Many people feel restless and ill at ease because they have committed atrocious wrongs, and many feel ashamed of themselves because they have never performed a single good deed. Yet there are also many who, far from feeling disgraced by their sins, go from bad to worse, completely ripping off the mask concealing their hideous features—which had yet to be fully exposed—to test My disposition. I pay no mind to, nor do I take careful notice of, the actions of any person. Rather, I do the work that I ought to do, be it gathering information, or roaming the land, or doing something that interests Me. At key times, I will proceed with My work among men as originally planned, not a second too late or too soon, and with both ease and dispatch. 89. However, with every step in My work some men are cast aside, for I despise their flattering ways and their feigned subservience. Those who are abhorrent to Me will certainly be forsaken, whether intentionally or unintentionally. In short, I want all those whom I despise to be far away from Me. Needless to say, I will not spare the wicked ones remaining in My house. Because the day of man’s punishment is near, I am not in a hurry to cast out all those despicable souls, for I have a plan of My own. 90. When I am in My incarnate flesh, whosoever debates My work with My flesh will be loathed by Me. Many are the times that I have reminded all men that I am without kin on earth, and whosoever looks upon Me as an equal, and pulls Me to them so that they may reminisce about times past with Me, will be subject to destruction. This is what I command. In such matters I am not in the least bit lenient toward man. All those who interfere in My work and offer counsel to Me are chastised by Me, and will never be forgiven by Me. 91. Many people read the words of God yet secretly oppose Him in their hearts. After opposing Him like this, do you not feel like a knife has been twisted in your heart? If it is not family disharmony, it is physical discomfort, or the afflictions of sons and daughters. Although your flesh is spared death, the hand of God will never leave you. Do you think it could be that simple? In particular, it is even more necessary for the many who are near to God to focus on this. As time goes on, you will forget it, and, without realizing it, you will be plunged into temptation, you will become heedless of everything, and this will be the start of your sinning. Does this seem trivial to you? If you can do this well, then you have the chance to be made perfect—to receive the guidance from God’s own mouth before God. If you don’t consider this important, then you will be in trouble—you will be defiant of God, your words and actions will be dissolute, and sooner or later you will be carried away by great gales and mighty waves. These things should be noted by every one of you. The man who is testified to by God may not condemn you, but the Spirit of God is not finished with you, He will not spare you. Do you think you have what it takes to commit offense? Thus, no matter what God says, you must put His words into practice, and must adhere to them by any means you can. This is no simple matter! 92. If you only ascribe to polytheism, then I say that you are the scum of the creatures, you are the true embodiment of Satan, and you are an absolute person of evil! … No matter what the time, place, or your background, you must not confuse God with any other person, thing, or object. Regardless of how unknowable and unapproachable you feel the authority of God and substance of God Himself is, regardless of how much the deeds and words of Satan agree with your conception and imagination, regardless of how satisfying they are to you, do not be foolish, do not confuse these concepts, do not deny the existence of God, do not deny the identity and status of God, do not push God out the door and bring in Satan to replace the God within your heart and be your God. I have no doubt that you are capable of imagining the consequences of doing so! 93. After understanding God’s disposition and what He has and is, have you made any conclusions as to how you should treat God? In response to this question, in conclusion I’d like to give you three admonishments: First, do not test God. No matter how much you understand about God, no matter how much you know about His disposition, absolutely do not test Him. Second, do not contend for status with God. No matter what type of status God gives you or what kind of work He entrusts you with, no matter what kind of duty He raises you up to perform, and no matter how much you have spent and sacrificed for God, absolutely do not compete for status with Him. Third, do not compete with God. No matter whether you understand or if you can obey what God does with you, what He arranges for you, and the things He brings to you, absolutely do not compete with God. If you can carry out these three admonishments, then you will be relatively safe, and you will not anger God easily. 94. Though part of God’s essence is love, and He extends mercy toward everyone, people overlook and forget the point that His essence is dignity as well. That He has love doesn’t mean that people can freely offend Him and He doesn’t have any feelings, or any reactions. That He has mercy doesn’t mean that He doesn’t have any principles in how He treats people. God is living; He really exists. He is not an imagined puppet or something else. Since He exists, we should carefully listen to His heart’s voice at all times, pay attention to His attitude, and understand His feelings. We shouldn’t use people’s imaginings to define God, and we shouldn’t impose the thoughts and wishes of people onto God, making God employ man’s style and thinking in how He treats mankind. If you do so, then you’re angering God, you’re tempting God’s wrath, and you’re challenging God’s dignity! 95. If the many years of association with Me have not only failed to change you into a person who has humanity and the truth, but rather ingrained your evil ways into your nature, and you not only have twice as many delusions of grandeur as before but your misunderstandings of Me have also multiplied, such that you come to regard Me as your little sidekick, then I say that your affliction is no longer skin deep but has penetrated into your very bones. All that remains is for you to wait for your funeral arrangements to be made. You need not beseech Me then to be your God, for you have committed a sin deserving of death, an unforgivable sin. Even if I could have mercy on you, the God in heaven will insist on taking your life, for your offense against the disposition of God is no ordinary problem, but one of a very grave nature. 96. People bring their ways of serving officials and lords to the house of God and try to put them into play, vainly thinking that they can be applied with effortless ease here. Never did they imagine that God has not the disposition of a lamb but that of a lion. Therefore, those associating with God for the first time are unable to communicate with Him, for the heart of God is unlike that of man. Only after you understand many truths can you continuously come to know God. This knowledge is not made up of phrases or doctrines, but can be used as a treasure by means of which you enter into close confidence with God, and as proof that He delights in you. If you lack the reality of knowledge and are not equipped with the truth, then your passionate service can only bring upon you the loathing and abhorrence of God. 97. The third thing I want to tell you is this: Every man, in the course of living his life of faith in God, has resisted and deceived God at some points. Some misdeeds need not be recorded as an offense, but some are unforgivable; for there are many deeds that transgress against the administrative decrees, that is to say, offend against the disposition of God. Many who are concerned about their own fates may ask what these deeds are. You should know that you are arrogant and haughty by nature, and unwilling to submit to the facts. For this reason, I shall tell you by and by after you have reflected upon yourselves. I exhort you to get a better understanding of the content of the administrative decrees, and make an effort to know the disposition of God. Otherwise, you will find it difficult to keep your lips sealed and your tongues from wagging too freely with high-sounding talk, and you will unwittingly offend against the disposition of God and fall into the darkness, losing the presence of the Holy Spirit and the light. For you are unprincipled in your actions. If you do or say that which you should not, then you shall receive a fitting retribution. You should know that, although you are unprincipled in word and deed, God is very principled in both. The reason you receive retribution is because you have offended God, not a man. If, in your life, you commit many offenses against the disposition of God, then you are bound to become a child of hell. To man it may appear that you have only committed a few deeds that fail to accord with the truth, and nothing more. Are you aware, however, that in the eyes of God you are already one for whom there is no more sin offering? Because you have transgressed against the administrative decrees of God more than once and have moreover shown no sign of repentance, therefore you have no choice but to fall into hell, where God punishes man. 98. I still hope that when you go through the experiences to come, and the times to come, you can do what I’ve just told you. Don’t neglect God and regard Him as empty air, feeling like He exists at times when He is of use to you, but when He is of no use feeling like He does not exist. When you subconsciously hold this kind of understanding, you have already infuriated God. 99. These words recorded in the Bible that the Lord Jesus spoke when He appeared to Thomas are a great help to all people in the Age of Grace. His appearance and His words to Thomas have had a profound impact on future generations, and they hold everlasting significance. Thomas represents a type of person who believes in God yet doubts God. They are of a suspicious nature, have sinister hearts, are treacherous, and do not believe in the things that God can complete. They do not believe in God’s omnipotence and His rule, and they don’t believe in God incarnate. However, the Lord Jesus’ resurrection was a slap in the face to them, and it also provided them with an opportunity to discover their own doubt, to recognize their own doubt, and to acknowledge their own treachery, thus truly believing in the existence and resurrection of the Lord Jesus. What happened with Thomas was a warning and a caution for later generations so that more people could warn themselves not to be doubting like Thomas, and if they were, they would sink into the darkness. If you follow God, but just like Thomas, you always want to touch the Lord’s rib and feel His nail marks to confirm, to verify, to speculate on whether or not God exists, God will forsake you. So, the Lord Jesus requires people to not be like Thomas, only believing what they can see with their own eyes, but to be a pure, honest person, to not harbor doubts toward God, but only believe in and follow Him. This type of person is blessed. This is a very small requirement the Lord Jesus has for people, and a warning for His followers. 100. It is often said of God’s disposition in His word: It doesn’t matter how many roads you’ve traveled, how much work you have done or how much you have endured for God, as soon as you offend God’s disposition, He will repay each of you based on what you have done. Have you seen it? (Yes, we have.) What this means is that God may view people as close to Him, but people must not treat God as a friend or a relative. Do not regard God as your pal. No matter how much love you have received from Him, no matter how much tolerance He has given you, you must never treat God as just a friend. This is God’s righteous disposition. … When people offend God, it might not be because of one instance, or one thing they said, but it is rather due to an attitude they hold and a state they are in. This is a very frightening thing. 101. Do not regard your transgressions as mistakes of an immature or foolish person, do not use the excuse that you did not practice truth because your poor caliber made it impossible to practice it, and even more, do not simply regard the transgressions you have committed as the acts of someone who did not know any better. If you are good at forgiving yourself and good at treating yourself with generosity, then I say you are a coward who will never gain the truth, and your transgressions will never cease haunting you, but keep you from ever meeting the demands of truth and make you forever a loyal companion of Satan. My advice to you is still: Do not pay attention only to your destination and overlook your hidden transgressions; take your transgressions seriously, and do not overlook all your transgressions out of concern for your destination. 102. The more your transgressions are, the fewer your chances to gain a good destination. Conversely, the fewer your transgressions are, the more your chances of being praised by God. If your transgressions increase to the point that it is impossible for Me to forgive you, then you will have utterly wasted your chances of being forgiven. In that case your destination will not be above but below. If you do not believe Me then be bold and do wrong, and then see what it gets you. If you are an earnest person who practices the truth then you surely have an opportunity for your transgressions to be forgiven, and the number of your disobediences will become fewer and fewer. If you are a person unwilling to practice truth then your transgressions before God will surely increase, the number of your disobediences will grow more and more, until the ultimate moment when you are completely destroyed, and that is the time when your pleasant dream of receiving blessings is ruined. 103. My work is the work of saving people’s souls. If your soul falls into Satan’s hands, then your body will not have peaceful days. If I am protecting your body, then your soul will surely be under My care. If I really loathe you, then your body and soul will immediately fall into Satan’s hands. Can you imagine what your situation will be like then? If one day My words are lost on you, then I shall hand you all over to Satan to doubly torture you until My anger has completely dissipated, or I shall personally punish you irredeemable humans, because your hearts of betraying Me have never changed. 104. The requirements I have raised are all issues on which you should inspect yourselves. I hope you can all consider them seriously and that you don’t deal with Me perfunctorily. In the near future, I will check the answers you have given Me against My requirements. By that time, I will not require anything more from you and won’t give you any more earnest admonition. Instead, I shall exercise My authority. Those who should be kept will be kept, those who should be rewarded will be rewarded, those who should be given over to Satan will be given over to Satan, those who should receive heavy punishment will receive heavy punishment, and those who should perish will be destroyed. That way, there will no longer be anyone to disturb Me in My days. 105. Once all the salvation work has been done, there will be no more salvation work. What there will be is the start of the work of punishing the evil. You resist, you rebel, and you do things that you know are evil. Are you not the target of severe punishment? I am spelling this out for you today. If you choose not to listen, so that disaster befalls you later, will it not be too late if you only then start to feel regret and start to believe? I am giving you a chance to repent today, but you are unwilling to. How long do you want to wait? Until the day of chastisement? I do not remember your past transgressions today; I forgive you again and again, turning away from your negative side to look only at your positive side, because all My present words and work are meant to save you and I have no ill intention toward you. Yet you refuse to enter; you cannot tell good from bad and do not know how to appreciate kindness. Is not this kind of person simply bent on waiting for that punishment and that righteous retribution? 106. People do not in the least believe in My existence, nor do they welcome My coming. Mankind only begrudgingly responds to My requests, temporarily acceding to them, and does not sincerely share in life’s joys and sorrows with Me. Since people see Me as inscrutable, they begrudgingly pretend to smile at Me, striking up an attitude of cozying up to one in power. This is because people have no knowledge of My work, much less of My will at present. I’ll be honest with you: When the day comes, the suffering of anyone who worships Me will be easier to bear than yours. The degree of your faith in Me does not, in actuality, exceed that of Job—even the faith of the Jewish Pharisees surpasses yours—and so, if the day of fire descends, your suffering will be more grave than that of the Pharisees when rebuked by Jesus, than that of the 250 leaders who opposed Moses, and than that of Sodom under the scorching flames of its destruction. 107. People do not treasure My coming, nor do they prize the day of My glory. They are not blithe to receive My chastisement, much less are they willing to return My glory to Me. Nor are they willing to cast away the evil one’s poison. Humanity is still constantly deceiving Me in the same old way, still wearing bright smiles and happy faces in the same old way. They are unaware of the depths of gloom that will descend on mankind after My glory leaves them, and particularly unaware that when My day comes to the whole of mankind, they will face an even harder time than people in the times of Noah. For they do not know how dark Israel became when My glory departed from it, for man forgets at dawn how hard the pitch-dark night was to get through. When the sun goes back into hiding again and darkness descends upon man, he will again raise lamentation and gnash his teeth in darkness. Have you forgotten, when My glory departed from Israel, how difficult it was for its people to get through their days of suffering? 108. For a myriad of reasons—perhaps a scarcity of time or hectic schedule of work—My disposition has not enabled man to get to know Me in the slightest. Therefore I stride forward into My new plan, into My final work, to unfold a new page in My work so that all who see Me will beat upon their breast and weep and wail unceasingly on account of My existence. This is because I bring the end of mankind to the world, and from this point on, I lay bare My entire disposition before mankind, so that all who know Me and all those who do not may feast their eyes and see that I have indeed come to the human world, have come onto the earth where all things multiply. This is My plan, it is My sole “confession” since My creation of mankind. I wish that you could give your undivided attention to My every move, for My rod once again presses close to mankind, to all those who oppose Me. 109. I speak one word and the entire universe trembles from one end to the other—who can hear My words and not tremble in fear? Who cannot develop a heart that reveres Me? Who cannot know My righteousness and majesty from My deeds! And who cannot see My almightiness and wisdom within My deeds! Whosoever does not take care will surely die. This is because those who do not take care are those who defy Me, who don’t know Me, and they are the archangel, the most savage. Check yourselves—whoever is savage, self-right, arrogant and self-conceited is certainly an object of My hatred and will perish! 110. The work of God is like mightily surging waves. No one can detain Him, and no one can halt His footsteps. Only those who listen carefully to His words, and who seek and thirst for Him, can follow His footsteps and receive His promise. Those who do not shall be subjected to overwhelming disaster and deserved punishment. 111. Do not worry! I cannot sink to the same level as a nameless maggot, and I will not compare the degree of skills with you. I loathe you, yet I am able to endure. You disobey Me, yet you cannot escape the day of My chastisement of you that My Father has promised to Me. Can a maggot that was created compare to the Lord of all creation? In autumn, falling leaves will return to their roots, you will return to the home of your father, and I will return to My Father’s side. I will be accompanied by My Father’s tender affection, and you will be followed by the trampling of your father. I will have the glory of My Father, and you will have the shame of your father. I will use the chastisement that I have long held back to accompany you, and you will meet My chastisement with your rancid flesh that has already been corrupt for tens of thousands of years. I will conclude My work of words in you, accompanied with tolerance, and you will begin to fulfill the role of suffering disaster from My words. I will greatly rejoice and work in Israel; you will weep and gnash your teeth, and exist and die in the mud. I will regain My original form and no longer remain in the filth with you, while you will regain your original ugliness and you will continue to burrow around in the dung heap. When My work and words are done, it will be a day of joy for Me. When your resistance and rebelliousness are done, it will be a day of your weeping. I will not have compassion for you, and you will not see Me again. I will no longer have dialogue with you, and you will no longer encounter Me. I will hate your rebelliousness, and you will miss My loveliness. I will strike you, and you will miss Me. I will gladly depart from you, and you will be aware of your debt to Me. I will never see you again, but you will always hope for Me. I will hate you because you currently resist Me, and you will miss Me, because I currently chastise you. I will be unwilling to live alongside you, but you will bitterly yearn for it and weep into eternity, because you will regret everything you have done to Me. You will regret your rebelliousness and your resistance, and you will even lay your face on the ground out of regret, and you will fall down in front of Me and swear to no longer disobey Me. But in your heart you just love Me and you will never be able to hear My voice, I must make you ashamed of yourself. 112. When My day comes, I will rain down My scorching flames for all eternity upon the children of disobedience that once provoked My fierce wrath, I will impose My everlasting punishment upon those animals that once hurled invective at Me and forsook Me, I will burn for all time with the fires of My anger the sons of disobedience that once ate and lived together with Me but did not believe in Me, and insulted and betrayed Me. I will subject all those who provoked My anger to My punishment, I will rain down the entirety of My anger upon those beasts that once wished to stand shoulder-to-shoulder with Me yet did not worship or obey Me, the rod with which I strike man will fall upon those animals who once enjoyed My care and the mysteries that I spoke, and who tried to take material enjoyments from Me. I will be forgiving of no person who tries to take My place; I will spare none of those who attempt to wrest food and clothes from Me. For now, you remain free from harm and continue to overreach yourselves in the demands you make of Me. When the day of wrath arrives you will not make any more demands of Me; at that time, I will let you “enjoy” yourselves to your heart’s content, I will force your face into the earth, and you will never be able to get up again! Sooner or later, I am going to “repay” this debt to you—and I hope you patiently await the arrival of this day.